I just ditched my entire sermon for tomorrow. Charlottesville demands it. 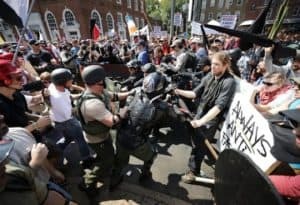 Two hours from where I sit, Nazis, KKK clansmen, anarchists, socialist militants, and southern secessionists have clashed all day in the city of Charlottesville, Virginia. As I watch in horror and sorrow, and pray earnestly for clergy colleagues in the mix, I can’t help but wonder – “What if it was my town?” How would God call me to lead at such a moment? What would I do as a citizen? What would I do as a spouse and a parent? What would I do as a community leader? Hold a prayer vigil the night before the storm, like many clergy did at University Baptist Church? Join the counter protest and attempt to peacefully give an alternate voice? Encourage people to minimize the protest and maximize their safety through not engaging? Hunker down with my wife and kids until it all blew over? Serve as a minister to those injured in scuffles? Would I break down, and in my sinfulness, add to the violence and toxic rhetoric? Invite my church to a time of prayer, confession, and intercession? I’m honestly not sure what I would do, but I am sure of this… I cannot preach the same sermon tomorrow as the one I had planned. I wonder what my grandfathers (both WWII vets) would think of Nazis giving “heil Hitler” style salutes and wearing SS uniforms in the streets of a city where Jefferson and Madison once frequented. I wonder what my black neighbors would think about avowed white nationalists taking over the streets on which their children’s school buses travel. I wonder… what if it were here? If it were here, it would take place in the town square, right beside where my church stood for over 100 years (before we moved to a new building). It would happen right in front of the burger joint that I eat at often with church members. If it happened here – and I’m only two hours from there– what would I do? It’s easy to sit from a distance and pretend to know what I would do. But I don’t know. Not really. What I do know is this… If I failed to give voice to love and sit idly by, letting voices of hate and bigotry prevail, then I fail to live up to the cause of Christ. If I allow the wicked kingdom of white nationalism a foothold, then I deny the kingdom of God outright. If I’m silent or passive in my objections, ultimately, I’m complicit in whatever comes next. This is the lesson of Hitler, the Confessing Movement, and Bonhoeffer. I don’t know entirely what I would do, but I wouldn’t stay silent, no matter what. It can be easy to judge the counter protest as unproductive and meaningless. It was, after all, hijacked by extremists who incited more violence and turmoil. But is sitting at home really better? If Nazis and clansmen are walking your town square? I want a faith that has teeth, and functions from deep conviction. If comfort, and even safety was the primary aim for the early church, there might not even be a church. My heart goes out to believers in Charlottesville. I’m incredibly thankful for the law enforcement officers who attempted to keep peace, and to prevent things from getting out of hand. They are brave, and deserve our praise and gratitude. How much are we willing to wrestle with our current social strife? To what future does Christ call us? Is your church a safe place for tough questions? Can people of differing opinions safely dialogue in your congregation? This isn’t about statues. It’s far deeper than statues. It’s about the soul of the nation, and the soul of the church. 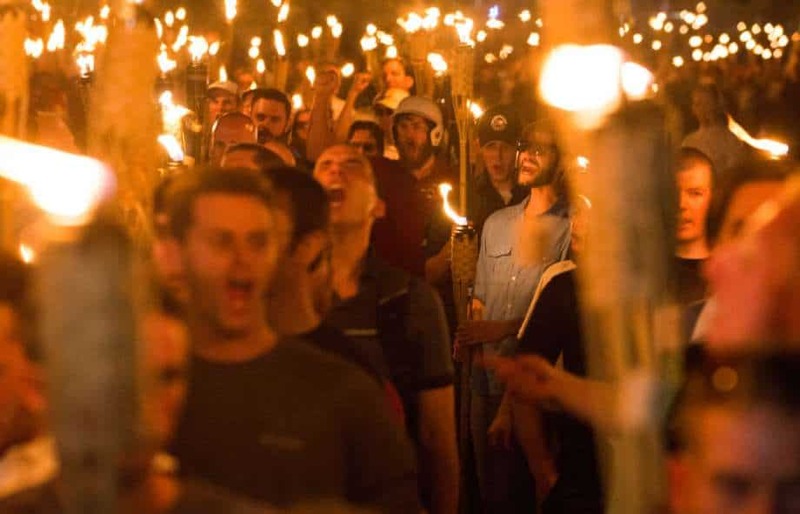 I’m still not sure what I would do if it were in my town, but I guarantee this – because of Charlottesville, I’m not preaching the same sermon tomorrow. How about you?